For those of you with fragile, easily irritated skin, you know how hard it can be to find a good makeup product, let alone the right foundation. Hence the reason we reached out to a few skin experts for their guidance on choosing the best foundations for sensitive skin that (fingers crossed) won't cause a reaction. On our journey to finding the least agitating formulas, we asked dermatologist Dendy Engelman, MD, what to look for in a sensitive-skin foundation, to which she replied, "Opt for mineral or powder foundations, unless the formula specifies that it is hypoallergenic, non-comedogenic, and designed for sensitive skin." While avoiding harsh ingredients that clog pores and cause unnecessary redness is important, Cover FX global ambassador Derek Selby says that it's equally necessary to look for a formula that contains anti-inflammatory properties that "reduce redness and inflammation in the skin." Selby suggests finding a foundation with ingredients like "bisabolol derived from chamomile or phytosphingosine, a conditioning lipid that has anti-inflammatory and antimicrobial properties." Now that you've been schooled in the fundamentals of sensitive skin foundations, keep reading for Selby and Engelman's recommendations for fragile-skin foundations. According to Selby, Cover FX foundations, which come in numerous shades, are "developed in a dermatology clinic in a hospital for the most sensitive skin." Additionally, their products are "mineral oil free, fragrance free, paraben free, gluten free, and talc free," so skin irritation is likely not an issue. 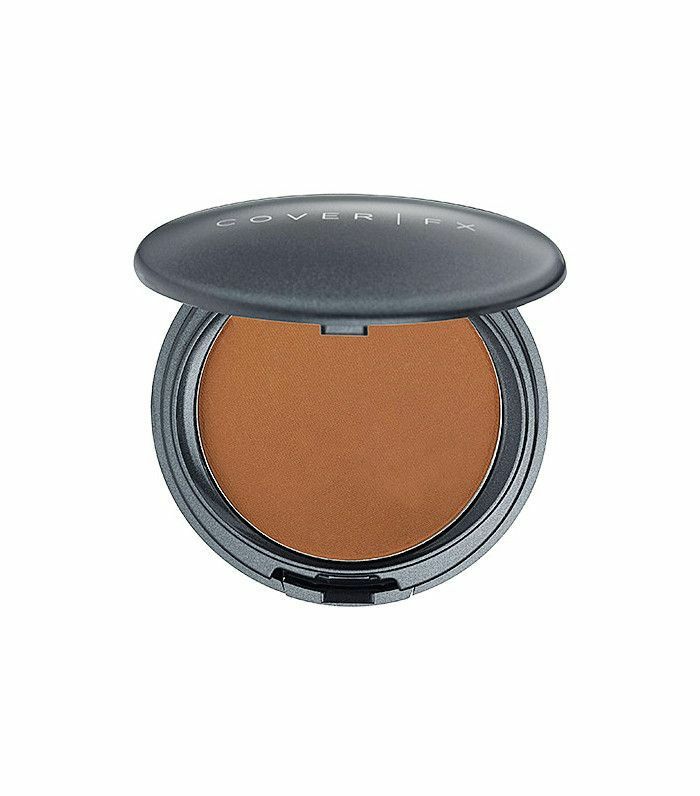 And, while a non-agitating formula is a must, it is just as important that the foundation works to cover redness, blemishes, and even out skin tone, which Selby says this cream foundation does thanks to its buildable consistency that can be "very sheer in areas where the skin is clear, and buildable in areas where you need more coverage." Free of mineral oil, this hypoallergenic foundation provides a full-coverage matte finish that easily smoothes over blemishes and redness for a clear-looking complexion. The formula is made with Amazonian clay and works to prevent oil buildup. From my personal experience, I find that it does not clog pores, which is saying something, as I have very fair skin that's prone to irritation. "Mineral and powder formulas sit on the surface of the skin and are less likely to get into the pores and cause irritation," says Engelman. 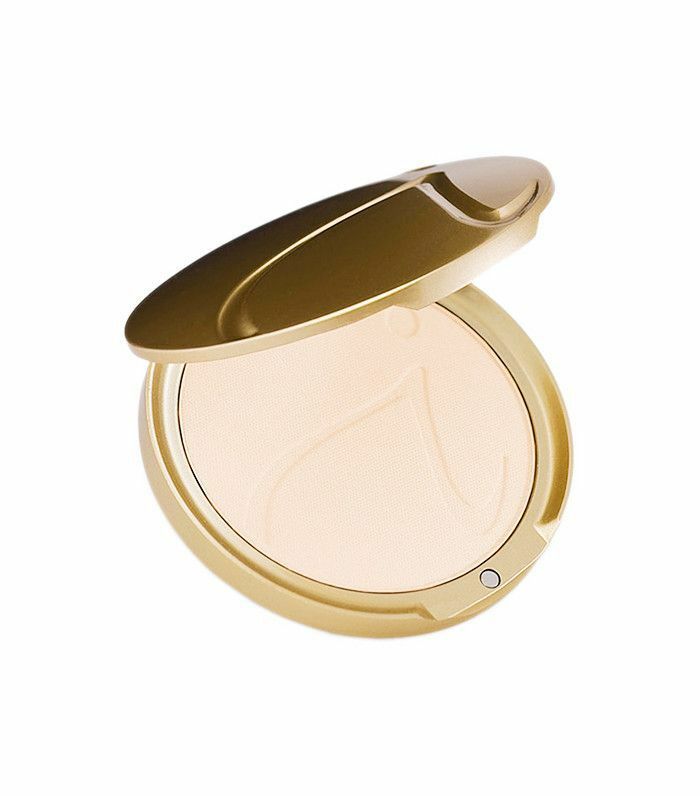 She specifically recommends using this loose powder foundation from Elizabeth Arden, as it "contains sea water minerals that help support the skin's own natural mineral equilibrium," thus reducing the likelihood of skin irritation. When a product is at sold many dermatologist offices, you know it's likely good for your skin. 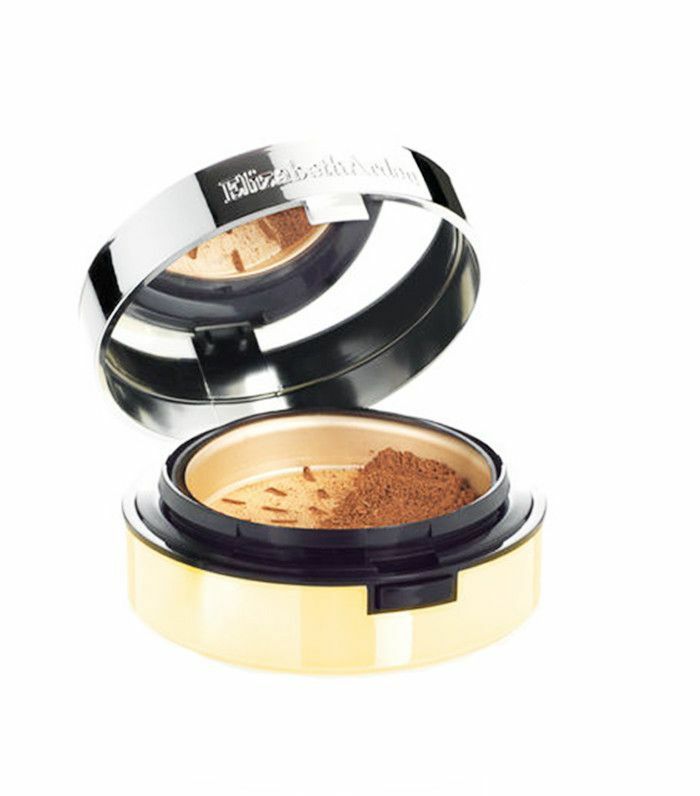 This powder foundation is a great option for those of us who don't like the heaviness of a cream formula but still want a decent amount of coverage. If you tend to avoid pressed-powder foundations, don't knock it before you try it, as this formula glides on easily for a non-cakey, buildable, light-to-full-coverage finish. Pro tip: If you experience facial redness, Jane Iredale's powder foundations have a slightly green tint that counteracts the redness in rashes, blemishes, and any pink patches on the skin. When in doubt, look to Cover FX for a sensitive-skin foundation. 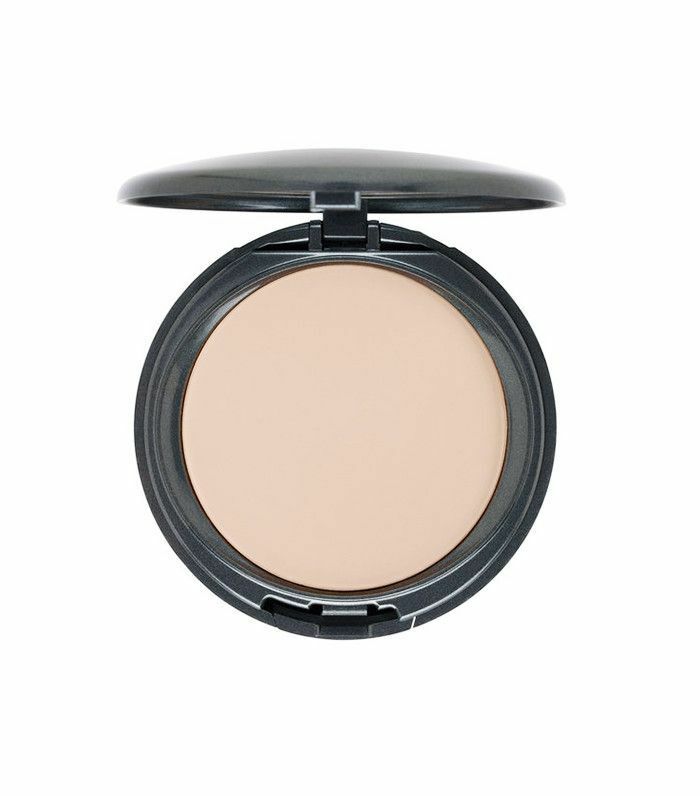 Engelman suggests this oil-absorbing pressed powder that comes in 40 different shades as an alternative to loose-powder formulas, as it provides buildable coverage without irritation thanks to its mineral oil–free, paraben-free, and fragrance-free formula. Want more tips on how to manage your sensitive skin? Check out our skincare guide for sensitive skin.